Below you will find another in an ongoing series of articles on Latin American Drug Trafficking. In the next several weeks COHA also will issue in-depth reports on drug trafficking in Jamaica, Haiti and the Dominican Republic. Previous articles in this series include Martha Lauer’s “Mexican Drug Policy: Internal Corruption in an Externalized War” (see below), Alex Sanchez’s “Mexico’s Drug War: A Society at Risk – Soldiers versus Narco-Soldiers,” and Larry Birns’ and Alex Sanchez’s “The Government and the Drug lords: Who Rules Mexico?” Please refer to our website for further installments in this series or subscribe to our mailing list by sending an email to coha@coha.org. The war on drugs has been a tempestuous factor within Mexico since the latter days of the Vicente Fox presidency. At the beginning of his term last December, President Felipe Calderón announced, as did his predecessor before him, that he would crack down on drug trafficking, drug lords and drug-related violence…at least for a while. Just as Fox’s anti-drug policy turned out to be brittle and ultimately not effective, there are few who believe that Calderón has the necessary strength of character or will power to sustain the anti-drug struggle that has relatively few allies in Mexico. Mexico has become the single largest exporter of illegal drugs in the Americas. It supplies clients all over the world with narcotics including Colombian cocaine, which is trans-shipped to Mexico before being smuggled into the U.S. The majority of Mexico’s marijuana crop is also exported to the U.S. Holding accelerated U.S. demand for narcotics as being directly responsible for Mexico’s increased rate of trafficking, President Calderón has argued that the issue of “supply” cannot be effectively addressed unless “demand” is vastly reduced. Calderón maintains that as long as there is a market for narcotics in the U.S., Mexicans will be found trafficking drugs through the border region. Mexico’s dubious distinctions include being the world’s second largest supplier of heroin, the largest foreign source of marijuana to the U.S. and the principal international supplier of methamphetamines. Four major Mexican drug organizations have seized local control over operations from the Colombian cartels and are responsible for the final stage of transporting and distributing illegal drugs to the U.S. These include: the Gulf Cartel (Osiel Cardenas), the Sinaloa Cartel (Joaquin “El Chapo” Guzman), the Tijuana Cartel (Arellano Felix), and the Juarez Cartel (Vicente Carrillo). In places such as Nuevo Laredo, located in Gulf Cartel territory, high rates of violence are the result of fierce competition among the cartels. In one instance, the “war” between Guzman, who escaped from a maximum-security prison in a laundry basket in 2001, and Cardenas, who remains in prison near Mexico City, contributed to much of the violence. The more secure a cartel’s hold on its “turf” is, the less inter-cartel violence there tends to be, with this particular competitive situation proving that neither Guzman nor Cardenas have a decisive hold on the surrounding Nuevo Laredo. The presence of these fractious drug cartels invites the spreading violence, but it is the illegality of the drug trade, which ironically tends to limit the capacity for violence- at least for an extended period- that explains why Calderón chose to attack the drug industry at the outset of his presidency. The drug cartels, revealing the depth of the corruption on which they feast, simultaneously have threatened and bribed police, border officials and other government functionaries, making it clear that they will gun-down or buy out anyone interfering in the $40 billion a year industry. The police, being extremely underpaid, often must use their own funds to buy bullets for their outdated pistols, which leaves them exceedingly vulnerable to the cartels and their gun slingers’ relative heavy artillery. Remaining honest in a corrupt system becomes increasingly dangerous, with death threats and murder attempts being targeted at the personnel of the criminal justice system. With corruption dominating the Mexican system of law and order, authorities frequently are not able to hold drug dealers accountable even after they are apprehended. Some cartel figures are able to affect their release soon after being detained, further discouraging the police from risking their lives on a frustrating task, which shows few results. When drug dealers bribe police officers and prison guards in order to obtain special treatment, or even their escape, they transform officials into accomplices. More than just the police, government officials are also routinely involved in venal behavior, with their actions often covered over by well connected, cooperating public officials. 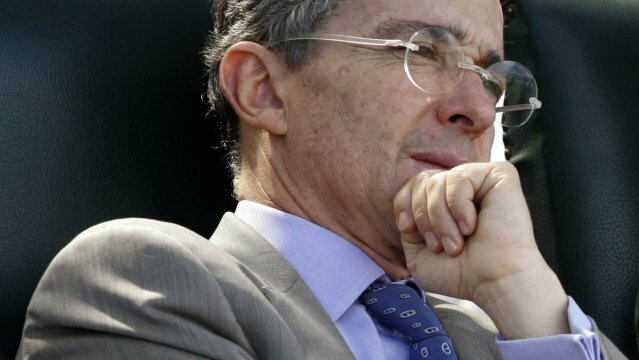 For example, former Mexican President Salinas’s brother was charged with receiving massive pay offs after he aided a cartel, revealing the depth to which powerful, high-ranking government officials are prepared to go in order to serve the cartels with which they are affiliated and from which they are sumptuously paid. With large numbers of police on the payrolls of the cartels, violence has been escalating throughout the country, most noticeably in areas where concentrations of military forces are stationed. Kidnappings, gunfights, execution-style killings and decapitations occurring throughout the country already have claimed 1,000 lives in 2007. The cartels selectively and lethally attack those who voice their opposition to drug trafficking or who adversely affect them in any other way. As a result, TV reporters, radio journalists, editors and talk-show hosts who are brave enough to urge Mexicans to stand up to the drug cartels often are found dead only hours or days later. The drug cartels frequently used high-powered weapons acquired from corrupt police officers to attack military personnel. The Gulf Cartel is particularly dangerous. Its private army—led by Los Zetas—is composed of renegades from special trained units, which have deserted their U.S.-coached battalions. Often part of the Special Air Mobile Force Group, they had been instructed in high-powered weaponry and the use of intelligence to combat the cartels. Many of them have now switched sides by enlisting in the cartels, which lured them with cash payments that dwarfed their former police wages. The worst of the recent violence occurred when a severed head, left as a calling card by a drug gang, and accompanied by a chilling note, was found on an army base in Veracruz. The message was simple enough: the military could do nothing to stop the drug cartels. This appallingly cruel act was in response to the government’s pursuit of drug traffickers, although the murder may not have been directly drug-related. In Acapulco, drug-associated violence has escalated to the point that there have been incidents of police decapitation. Latinnews Daily commented that in February, Mexico City policemen seized one ton of cocaine and arrested four drug runners. Later, hitmen videotaped murders they committed in response to the 7,600 soldiers and policemen that had been posted in Guerrero to reduce drug-related violence. For now, Calderón has increased the military’s presence in various parts of the country and in areas most directly affected by drug violence and organized crime. All told, he has deployed over 30,000 soldiers and federal officers since his inauguration on December 1, 2006. Specifically, more troops have been placed along the border in an effort to discourage the transportation of illicit drugs from Mexico into the U.S., but that has made little difference, as the amount of narcotics leaving the country persistently has increased. As corruption extends through much of Mexico’s political machinery, Calderón repeatedly has turned to the army, his most reliable weapon in the fight against cartels. He was able to generate a good deal of personal loyalty from the armed forces when he increased their pay by 50 percent. This fortified the military’s reputation as one of the few government bodies that have not been completely corrupted by the drug cartels. The human rights record of Mexico’s armed forces, however, is hardly untainted. One source states that members of the army may very well have raped and murdered a 73 year-old Indian woman in Veracruz and shot at two women and three children when their car failed to stop at a border checkpoint. While the military remains relatively less corrupted by the drug lords, some, like former Mexican Defense Secretary Ricardo Clemente Vega, do not believe that turning to the armed forces is a wise solution to ending the drug war. The military does not necessarily have the specialized training needed to deal with a narco-conflict and the drug lords will not solve conclusively the long term problem of massive trafficking. Nevertheless, the military can contain the problem until the cartel exercises its leverage elsewhere. Decriminalization: An Idea For the Future? Former Mexican President Vicente Fox once seriously considered introducing a bill to decriminalize the possession of small quantities of drugs, but ultimately rejected this course of action. The Netherlands’ government largely views decriminalization as being an inevitable development in the drug trade. There is the fear that legalization of narcotics will lead to a spike in demand, though historically the prohibition and subsequent legalization of alcohol in the U.S. did not substantially enhance demand. Initially, the freedom to possess may irresponsibly lead people to purchase greater quantities of narcotics, yet over time it is expected that the number would drop to a more sustainable rate. Mexico’s “war on drugs” is replete with hypocrisy because a great number of corrupt government workers and law enforcement officials have been involved in all levels of covertly aiding drug trafficking while they, at the same time, are denouncing its use. Dan Feder, of The Narco News Bulletin, commented on the fact that Paco Stanley, a former TV Azteca host and promoter of the anti-drug program “Vive sin drogas,” was found shot to death with cocaine paraphernalia on his person. It was believed that he was involved, at the highest level, with a drug trafficking ring. It is fervently believed by many that decriminalization, by removing the stigma from drugs, would open communications, allowing young people to talk about drug problems, which could result in lower levels of drug usage among future generations. Jeffery Miron and Jeffery Zwiebel, in The Journal of Economic Perspectives, point out that illegal drugs promote violence, destroy inner city life and spread AIDS. They also note that the prohibition of drugs will inevitably create incentives leading to an increase in supply, thereby eventually making it easier to obtain drugs at a lower price. For example, during the prohibition era in the U.S., prices of banned alcohol products increased threefold. This, however, did not hinder consumers from seeking to obtain it. Based on how widespread and deeply rooted the drug trade is, prohibition could not begin to curb the problem or provide useful lessons to be followed. While there is hope that the decriminalization of drugs will lead to reduced violence and a safer country, it is equally possible that there actually will be an increase in inter-cartel violence over distribution rights and territory. The converse argument to decriminalization is the fear that it would breed a new and more virulent form of legal narco-tourism in Mexico. Tourists (e.g., Americans, Europeans) would enter the country with the intent to purchase narcotics, increasing the prospect of violence and petty crime in the country. The violence that often affects the tourist trade could become more pronounced and tend to scare off the booming legitimate tourist industry. This, along with overly tightened border controls in order to fend off the drugs and violence within Mexico, could negatively affect U.S.-Mexican relations. As the drug cartels try to control more of Mexico’s Pacific Coast for business purposes, the violence could continue to escalate. In years past, the increased popularity of illegal drugs exacerbated drug-related violence involving drug lords, the military, corrupt police, the consumers and innocent bystanders. If anything, that could be even truer today. Calderón’s drug policy directly attacks the cartels while deemphasizing the users. Unlike drug trafficking in other Latin American nations, Mexico is not prepared to squarely face the challenges posed by growing disputes among the cartels and corrupted officials. It is said that Calderón is attacking a problem that previous administrations have shied away from for years. Decriminalization, it is said, could bring about a positive response featuring reduced violence and levels of drug consumption, or it could turn Mexico into the drug center of the Western Hemisphere. With no easy solution and many possible negative outcomes, the question that remains is whether Calderón and the Mexican military have the manpower, the weapons, the determination, the training and the means to beat back the drug cartels in a war that has been swelling over the years, with few prospects of a definitive victory on the horizon. A recent Supreme Court ruling revised legislation stating that Mexico could extradite leading drug figures to the U.S. when they would face the death penalty, which Mexico does not sanction. The extradition of cartel leaders to the U.S. has lead to fierce inter-group conflict, in which competing cartels fight to secure the assets of the extradited leaders, whose power would soon be on the wane. It is likely that Calderón’s offensive will soon begin, causing the drug lords to first seek hiding and then move to retaliate with new violence in order to reestablish their influence after the military attacks against them inevitably subside. A 20-month investigation led by the Drug Enforcement Administration (DEA), titled “Operation Imperial Emperor,” specifically targeted the Victor Emilio Cazares-Gastellum (a.k.a. Victor Emilio Cazares-Salazar) drug trafficking group. This cartel was responsible for supplying large quantities of cocaine, marijuana and methamphetamines to its clients abroad. “Operation Imperial Emperor” was an example of domestic and international cooperation to fight a common foe. So far, the DEA has seized “$45.2 million in U.S. currency, 27,229 pounds of marijuana, 9,512 pounds of cocaine, 705 pounds of methamphetamine, 227 pounds of pure methamphetamine or ‘ice’, and 11 pounds of heroin,” according to the Department of Justice. This ongoing operation is an example of how domestic and international cooperation can dismantle drug-laundering organizations. Potential Success or Likely Failure? From his first day in office, President Calderón has adopted a hard-line stance toward drugs and has made it known that he wishes to dramatically reduce the drug problem by the end of his term. He continues to remove corrupt officials from office and extradite captured drug lords to the U.S. The Mexican president recently has ordered a sweep of the Tijuana police department, removing the officers’ guns in order to inspect them to see if they had been involved in any drug-related killings. Unfortunately, this has done little to curb the rampant corruption that can only be solved, if at all, with a comprehensive reorganization of local police departments across Mexico, a process that is now being attempted with the nationwide replacement of police chiefs. There is hardly any chance that Calderón will succeed in ridding his country of corruption and drug cartels during his six-year term. His new and intensified anti-drug policy seems to be more like a sound and light show than a serious initiative. This is not because Calderón is indifferent to solid results; rather, it is a matter of structural flaws in a society that does not easily permit major achievements in this field. The drug cartels have rebelled and with violence increasing exponentially in areas under their control, they are showing that they intend to remain in control of their respective territories. With drug trading and corruption continuing to infiltrate daily life, it will take time and massive determination to finally rid Mexico of its drug problems. Calderón has undoubtedly launched an ambitious effort to tackle drug trafficking. However, the potential pitfalls and obstacles to success, as well as the controversial policy outcomes themselves, demonstrate the enormous magnitude and depth of the drug problem in today’s increasingly globalized narcotics trade that, lamentably, appears to be larger than life.